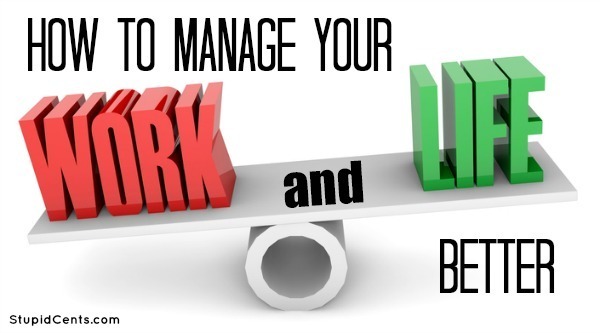 Managing your work and life is easier said than done. I know this, I work full-time, I blog full-time, write for websites, take care of a house and our dogs, find time to hang out with friends, watch my favorite television shows, make dinner nearly every night and so on. I can’t imagine people who have kids along with everything else they do, and how they manage it all! Do you ever wonder how someone is able to fit so many things into their day, whereas you think you could never do it all? I have many friends who wonder how I am able to basically have 2 full-time jobs. Well let me tell you, it’s all because of good time management skills that I have! I’m always working on improving my time management and being able to squeeze everything in, while also not getting too stressed with everything that is happening around me. Are there certain things you do that are not worth your time? It may be hard to think about this. If you are really busy, is it worth it to you to go out of your way in order to save a couple of bucks? For example, if you have multiple websites, would hiring a virtual assistant be worthwhile to you? Maybe you park far away so that you don’t have to pay $2 for parking everyday. However, if it is taking you 25 minutes to walk to your car everyday, is there something more productive that you could be doing with your time instead? When deciding how much time you’ll spend on different tasks, be as realistic as you can be. Be realistic with how long it takes to complete a certain task. If it usually takes 1 hour but you only budget 30 minutes, then you will most likely have some really long nights on your hands. Also, just like with your budget, you need to allocate some time to having fun and enjoying yourself. All work and no play cannot be good for you! Even just adding in once a week dinners with your favorite people can be a lifesaver. Having a schedule can be a lifesaver. You should decide how you will spend your time each day to brainstorm ideas, complete the tasks, research, etc. A schedule can help you a lot because you can then have a general timeline of how long it will take you to complete tasks and how long it will take you to reach your end goal. Having a schedule can also keep you in check. Having a schedule helps me because then I can look at it and realize if I’m either ahead of behind and how much I need to ramp my efforts up. If you’re anything like me, then you REALLY need a to-do list. It is helpful because I can just look at it and know exactly what needs to be done. I can brainstorm and type in directly into my phone so that it is always with me and then I know what always needs to be done. I can’t say I’ve forgotten anything because it’s all right there! What do you do to have a well balanced work and life? Am in accord with you Michelle, work-life balance is never easy. There is just so much to do and so little time to do it. I live by the check-box 🙂 I find that with a bit of planning and listing down your tasks it helps you work through them without wasting precious time wondering about this and that. Lately I have also adopted the 80/20 rule, am focusing on the 20% of things that bring the rest of the results and cutting out a lot of unnecessary things along the way.